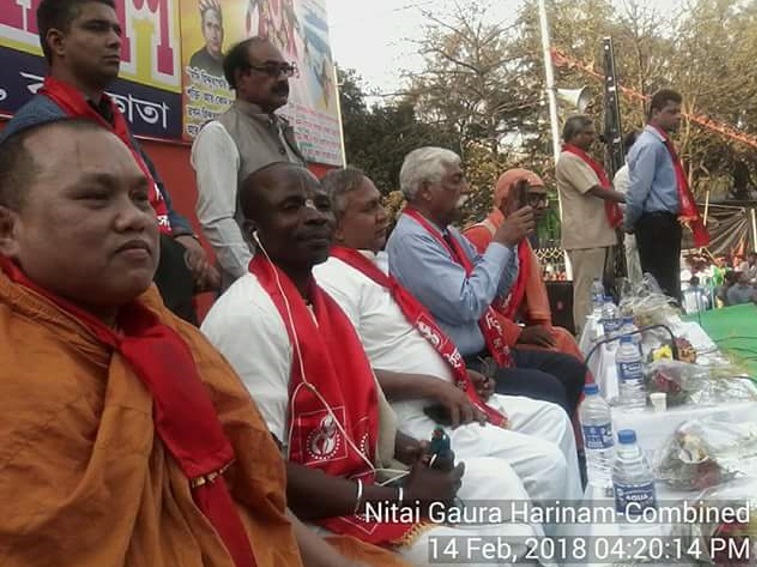 In Africa today, there is a rising desire among Africans from different belief systems to embrace Hinduism as a spiritual culture, after realizing that some religious faiths are far away from God realization. 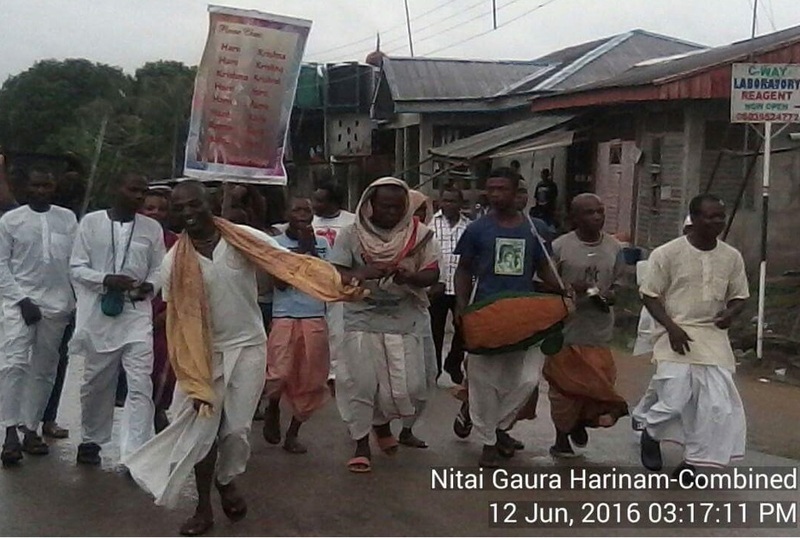 This is evident in the number of people attending the Gita Jayanti yearly in Africa. I was born in Calabar, Nigeria into an indigenous African family. My parents had embraced Hinduism in the 1970s and Bharat remained my dream since then. A little while back, I decided to visit Bharat and check out for myself the stories my parents passed on to me about the beautiful people there. First, I arrived in Kolkata, helped by Hindus around the globe. This was on my way to Mayapur, the birthplace of Chaitanya Mahaprabhu and the spiritual capital of my Hindu Sampradaya, the Gaudiya Vaisnavas. I came with an open mind and to convince myself of stories my parents told me since childhood. Against this backdrop, I arrived in Kolkata airport and was greeted by a family. They took me to their house. A Hindu brother, Lakshman da had introduced me to them and they happened to be their relatives. “Atithi Devo Bhavah” is a Sanskrit verse from Hindu scriptures which means “The guest is equivalent to God”. Hindus, I figured out literally believe it and see everyone as their own. No wonder, that I was given such a wonderful reception upon arriving at Kolkata airport. 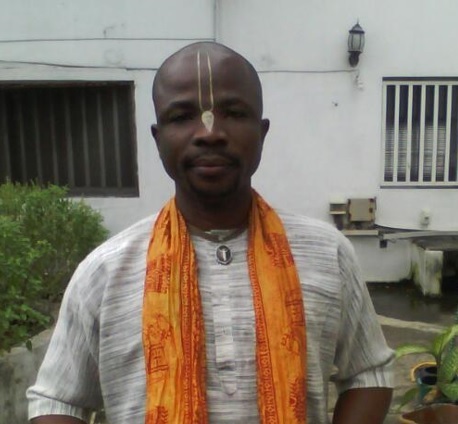 A family I never knew before, just by being informed by their senior brother Laksman da based in the US, that a Hindu Brother from Nigeria will be coming to India, immediately took it as a vital responsibility to see through my well-being and comfort till I was in Kolkata. It was thus a fantastic start to my spiritual journey. The Africans, I know are traditionally receptive to Vedic culture and believe in mutual respect while receiving a guest. But it cannot be compared with the loving kindness of the Hindu Bharatiyas, which is characterized by simplicity and a heartwarming welcome. So, during my journey, I had to experience India. There were very fundamental questions to ask based on the context that I come from. Does spirituality really cut down racial demarcations? It’s quite amazing that despite my proximity coming all the way from Africa on spiritual journey to the Holy land of Bharat, my fellow Hindu Brothers and sisters happened to be so receptive and accommodating without wanting to know my economic status, race and with no single element of segregation. Rather they are always ready and alert to be at the service of one another, always seeking the welfare of each other, and very simple in character with little or no violence. I was deeply affected by such sincere and selfless love in disposition. They understand the Unity principle above diversities of language and cultural differences, without disparity or differences in values. Because we are all bound in the common goal of “Dharma” as our one and only focus. This is something that Hindus don’t just spread around globally, but practice on a daily basis. In Africa today, there is a rising desire among Africans from different belief systems to embrace Hinduism as a spiritual culture, after realizing that some religious faiths are far away from God realization. Some faiths may lack in the dividend of ultimate salvation, or sometimes their respective leaders who are supposed to lead the way by exemplary characters, are by themselves lacking in the content of trust and sincerity of purpose. As such the followers lose faith in the process. This is evident in the number of people attending the Gita Jayanti yearly in Africa. These congregations are mostly made up of people from other religious backgrounds. They are eager and interested in hearing the Bhagavad Gita out of their curiosities to know about the soul and its transmigration in the different types of bodies, and the intricacies of action and reactions “karma”. I always feel delighted in the fact that, my parents were both devout practitioners of Hinduism since, the early 70s, and personally, have studiously followed the Dharmic process from birth, devoted to studying the Vedic literatures as a Bhakti student and following the Vedic principles. My journey in Bharat took me to interact with Hindus around the world. We took dip in the holy Ganges together, did a 6 months course on Vedantic studies all in a manner of brotherhood. 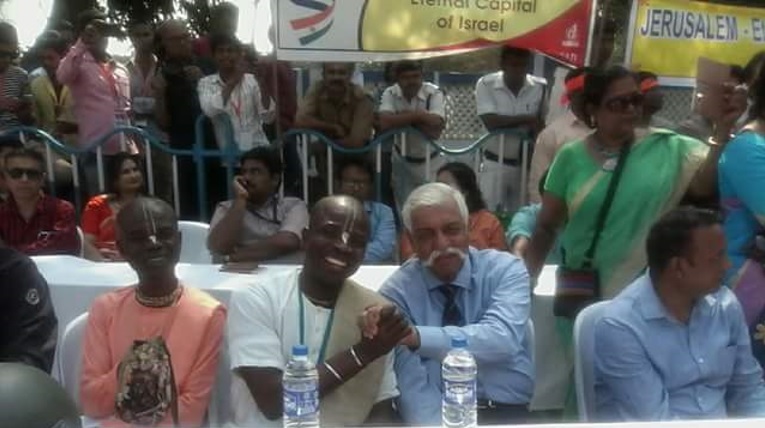 During my stay I also happened to meet Gen. GD Bakshi, a retired army general, in an event organized by Hindu Samhati. I had the pleasure to interact with Tapan Ghosh and Devdutta Maji who helped me to understand a different but very integral aspect of Dharma. I came to learn about the struggles of the Hindus in West Bengal and how Kshatriyas by merit are being promoted to save Dharma. Practicing Dharmic rituals and meditation are possible only when there are Kshatriya warriors protecting the faith and followers of Dharma from the attack of evil forces. At the end of my six months course on Vedantic Studies, I was initiated as a Brahmin by my Guru Maharaj on 4th of March, 2018. It is such an honor and privilege to get this initiation. The selfless assistance of some Hindu Brothers worldwide, helped me to fulfil my lifelong dream of a visit to Punyabhoomi Bharat. It made my convictions stronger. I am a biologist myself, a student of science. And Bharat gave a lot to the field of science. While I am now qualified to preach Hinduism in Africa today, my heart stays in promoting science, technology and empowerment of all Hindus in Africa. Dharmic belief in Bharat gave the world the concept of “zero” and tremendous contributions in algebra, geometry, mathematics and astronomy. This is the language of science. 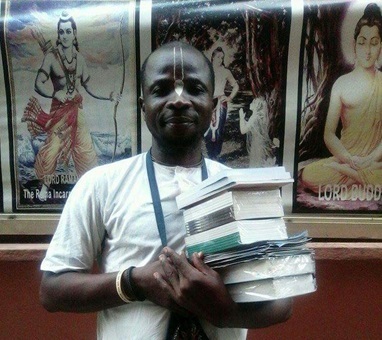 Thus, on one hand a preaching network aim at encouraging the African people who seem to take interest in the practice of Hinduism to help them on the path of God Realization and transcend race as I have experienced, on the other hand to help them realize the need to adopt Dharmic civilization to help them inculcate a culture of science and technology. Dharma is nothing but science and many in Bharat believe that ancient, indigenous African beliefs were very close to Dharma or Dharma itself.